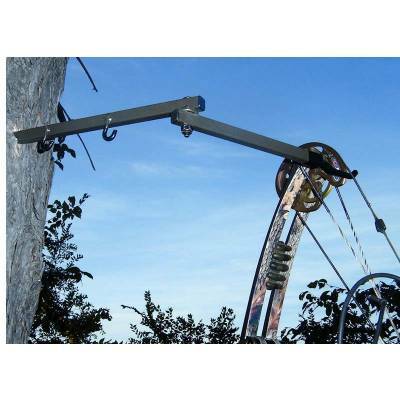 Machined mounting screw, Holds your bow or lantern while camping. Includes two accessory hooks, Extends to 20 in. and folds flat for safe and easy transport. Contains 3 bow holders for various placement.